CooksRecipes has quality, kitchen-tested recipes for Tex-Mex-style breakfast casseroles that you can count on for successful deliciousness. 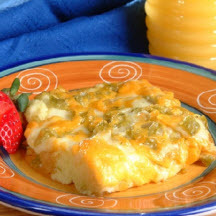 Ham, cheese, and green chiles make these enchiladas a welcoming way to start the day. 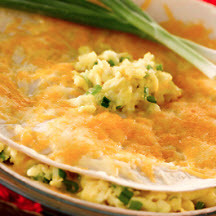 Reminiscent of the famous chiles relleños, this strata is a layered version rich in cheese, milk, sour cream and egg. Recipe courtesy of the American Egg Board.